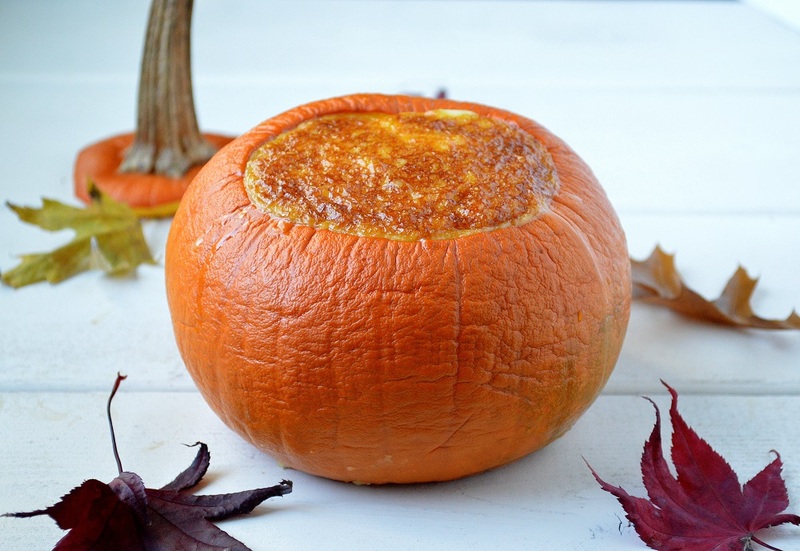 I know some people groan when others try to “pumpkin”…everything. Me?? I love it when it comes to baked goods. The way I see it, I want to harness the brief season of the pumpkin and enjoy it as much as I can! 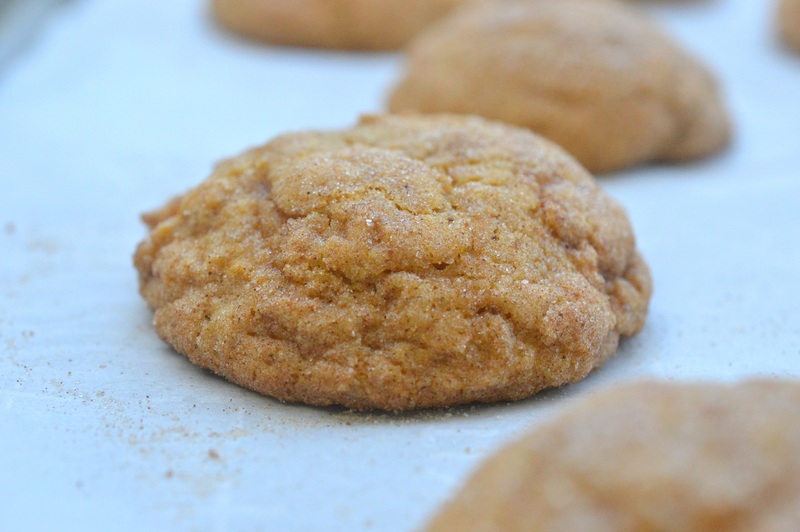 Pumpkin Snickerdoodle Cookies are one of those ways. 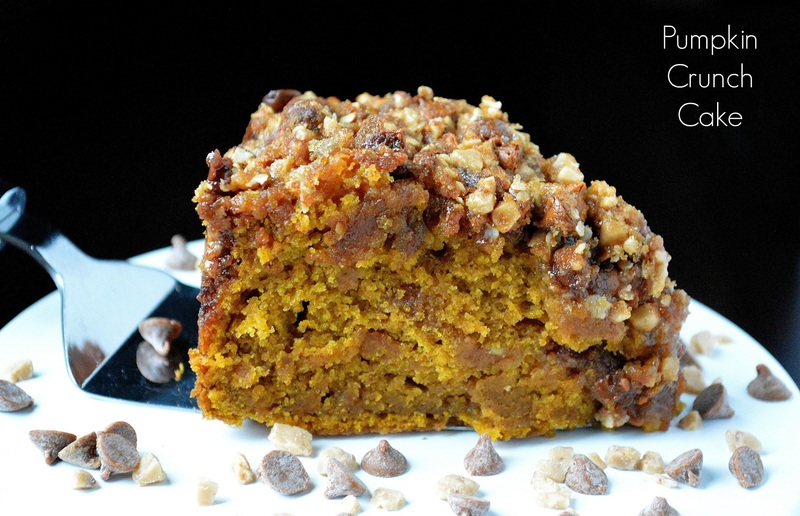 By August 10th that girl was begging to go sweater shopping and to bake up pumpkin…anything. I held out till August 25th and broke down and we made our first pumpkin bread of the year, then we moved on to experimenting with our Snickerdoodle recipe…attempting to turn it into a Pumpkin Snickerdoodle recipe. And yes, we (and by we I mean she with moms help) ordered a couple sweaters and a corduroy skirt (finally corduroy is making a trendy comeback) and she scooped some up while shopping. By September 30th this crazy girl will want Christmas music….Kidding (not kidding?? ), I have no clue! After days of rain here in PA (a month really) I told her this morning that the next 3 days were going to be sunny and gorgeous and she was like “oh, I like cloudy days”. This is a cheery, happy girl that gives us noooo problems other than a messy room. SHe never talks back and seriously is my BFF, all of a sudden she loves rain and clouds….I’m going to make sure she doesn’t sparkle in the sunlight lol! One thing however that will never change is her love of cookies, baking, and anything and everything pumpkin! 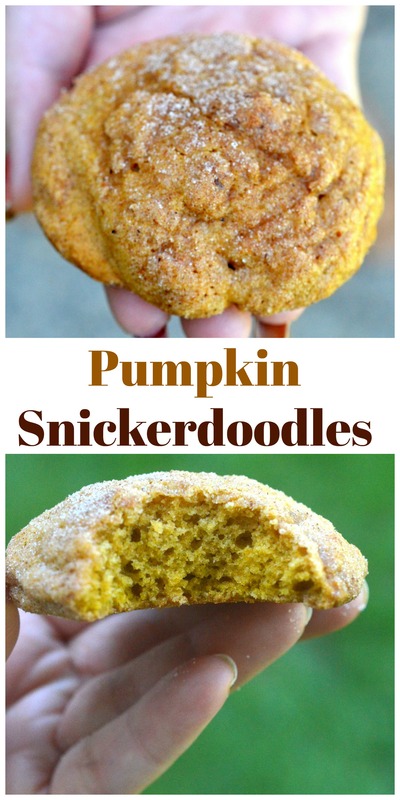 Give these Pumpkin Snickerdoodles Cookies a try! We ended up making them as a flatter cookie with a chewy center and as a more cake-like cookie with a crisp exterior. The second way was the unanimous favorite (which is the recipe posted below). 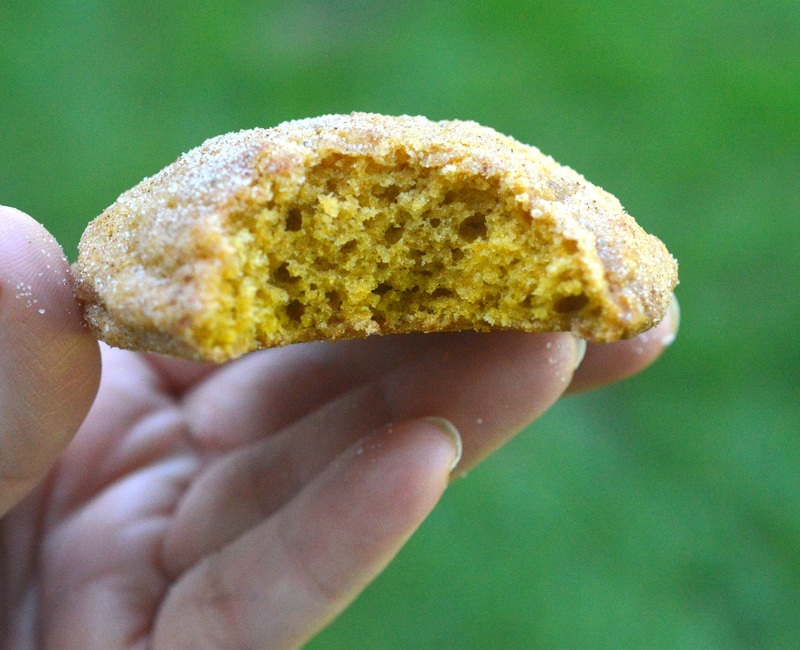 The hint of spice and pumpkin flavor with crispy edges and a soft chewy center were just what we hope for in this cookie. Just look at that center!! I apologize in advance for anyone who eats one too many of these delicious cookies as Samantha & I did (so did my son!!)! Tag me on Instagram or Facebook @SouffleBombay with a photo of your cookies when you make them! 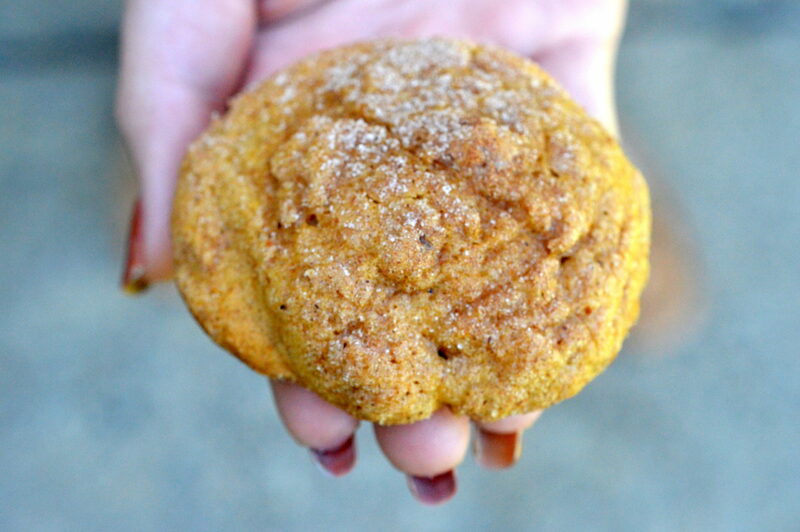 Check out how to make Pumpkin Snickerdoodle Cookies below! In a medium bowl, combine flour, cream, baking soda, salt, nutmeg and cinnamon. Whisk to blend and then set it aside. Cream your butter and sugar in the bowl of your stand (or hand mixer). Add in the corn syrup, pumpkin puree, egg and vanilla and mix until blended. Cover and place in refrigerator for 30 minutes or up to 24 hours to allow to chill and let the flavors mingle. Line a baking sheet with parchment paper (or a silicone mat). 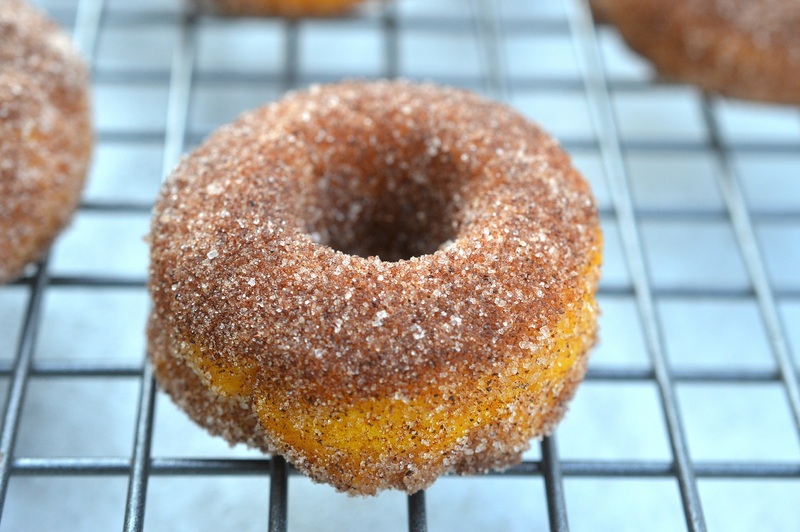 In a small bowl, combine ¼ cup sugar, 1½ teaspoons cinnamon and a couple dashes of nutmeg, swirling to blend. Use a cookie scoop to scrape out full scoopfuls of the dough. One by one drop it into the small bowl of cinnamon & sugar and swirl the bowl around until dough is fully coated. Place it on your prepared baking sheet, allowing 2 inches between each. Dust dough with a pinch of additional sugar and bake for 11 minutes. Allow cookies to cool for 2 minutes and then transfer to a cooling rack to fully cool. Repeat. Once completely cool, store in a cookie jar or sealed container. 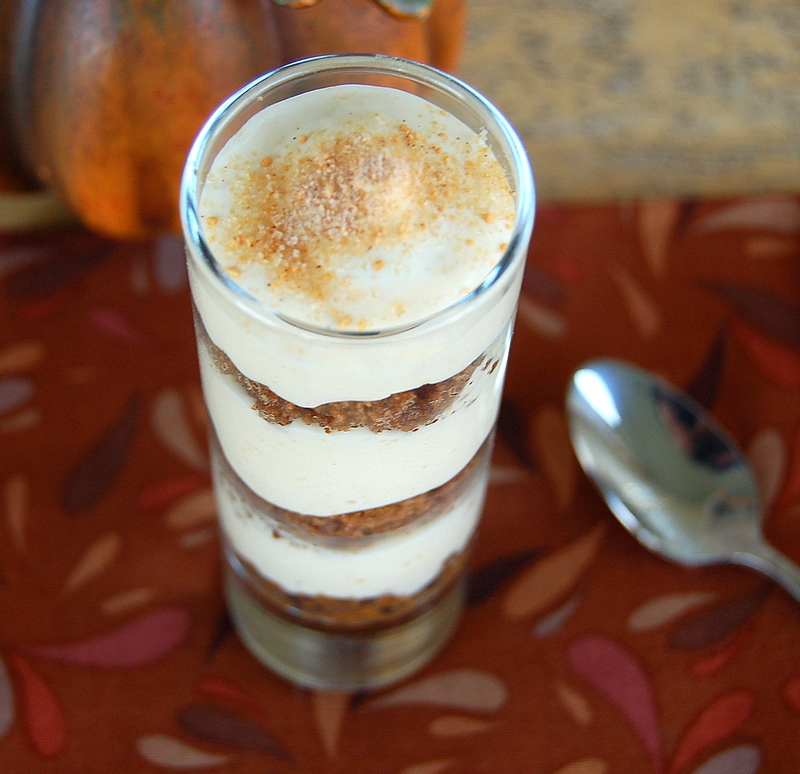 FYI: I did experiment with pumpkin pie filling as well (pumpkin pie filling already is seasoned and sweetened. The cookies did work using that, they just came out flatter. We prefer the recipe method above.